Our range of Student Chairs is both affordable and functional. BFX specialises in innovative student chairs designed for ergonomics. Our specially designed student chairs maintain proper posture, give support as students lean back, feature a handle for easy movement and are lightweight enough for students to stack and unstack themselves. We pride ourselves on producing only the very best ergonomic student chairs on the market. Browse our Pozzi Chairs, E-Chair ranges, Motion range and Happy Stools and discover why they are our best-selling student favourites. Our student chairs are available in a wide range of bright and neutral colours. 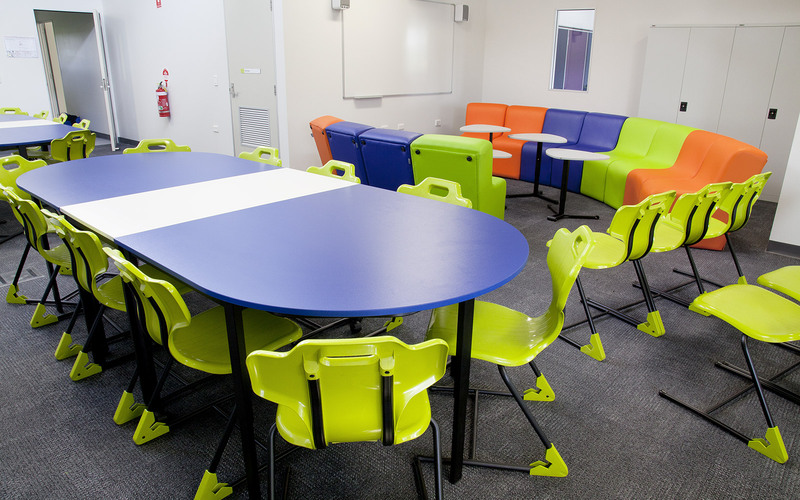 Mix and match different coloured chairs to create a lively and engaging classroom environment for your students. At BFX we understand the needs of students can vary depending on their classes throughout the day. They don't just need or necessarily want a standard student desk chair. That's why we have a versatile range of student chairs for all classrooms including art rooms, manual arts rooms, science labs, computer labs and libraries. Active seating solutions in the classroom are a great way to cater to any special needs student's requirements and to promote more movement. We have a fun range of wobble chairs for students, and they are some of our bestsellers for a reason. Primary aged students love seating that allows them to wiggle, rock and move. Our self-balancing stools feature a rounded base which allows movement & promotes concentration; ideal for students with special needs. The non-slip top and base grip a variety of floor surfaces, ensuring student safety. How Do You Know You’re Getting the Best Student Chair? All our best student chairs are constructed from high quality recycled Polypropylene, a lightweight thermoplastic with high impact resistance, ensuring durability and sustainability. The only way to know for sure that you’re getting high-quality school furniture and not a cheap poor-quality product is to ensure it has been tested and certified to Australian Standards. BFX holds the most extensive range of independently tested products by AFRDI.